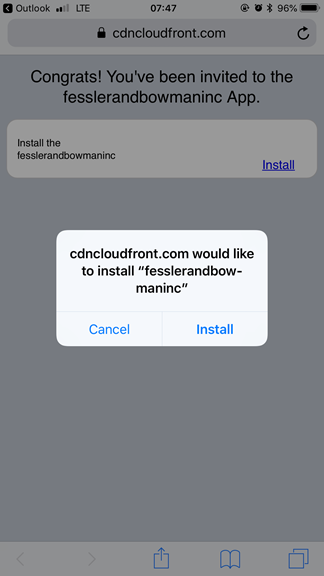 Below are the instructions for the Fessler & Bowman Inc app. Follow the pictures/instructions below to get the app onto and working on your device. 1. 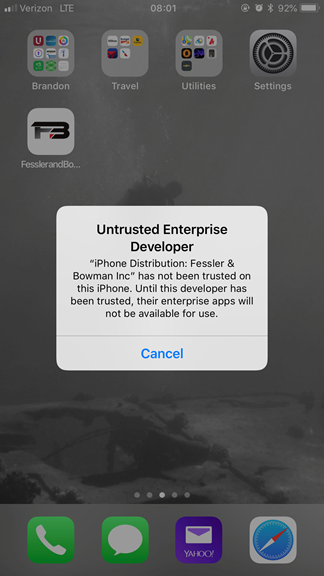 Delete the existing Fessler & Bowman App you have on your phone. 6. Go to settings on your phone Select General. 8. Select Fessler & Bowman Inc.
9. 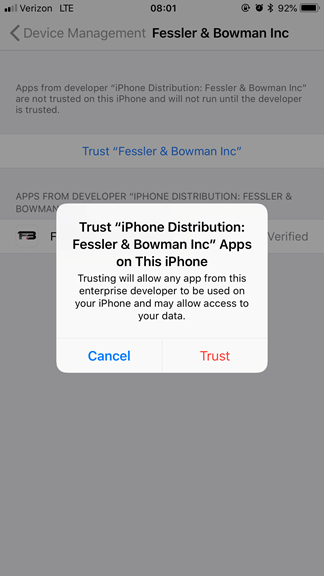 Select Trust Fessler & Bowman Inc.
11.The app will now work on your phone. 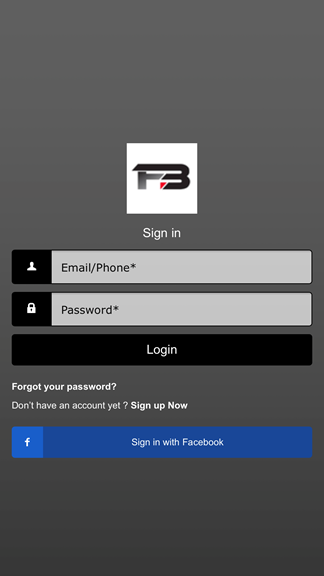 On the main screen you will need to select “Sign up Now” to create a new account. 12. You will need to register, and after you create an account you will have access right away. 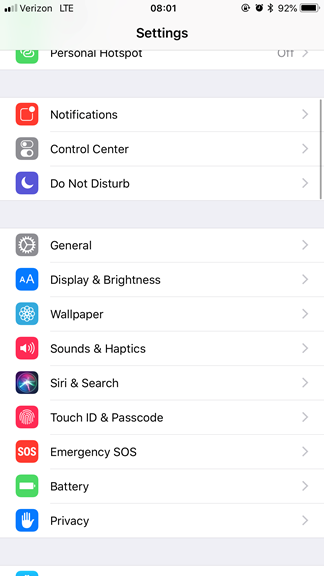 If you leave all of your frequently used apps running in the back ground that will cause your phones to draw more battery and data to let the apps update and sync. 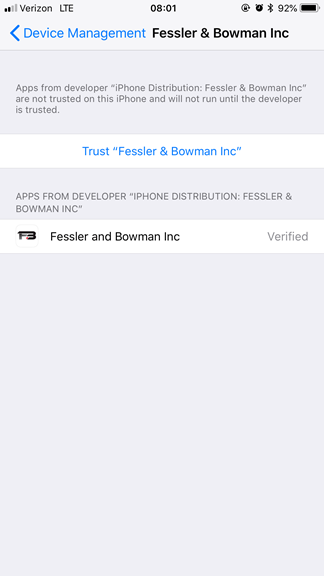 The Fessler & Bowman App may have trouble loading if you have a lot of open apps on your phone especially games, news, sports and streaming apps. 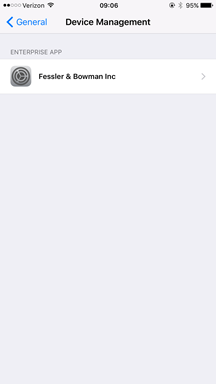 To close apps that are running in the back ground you need to do the following. 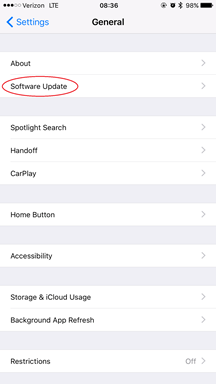 Many apps that are updated or stream from a cloud like ours does uses functions built into the phones Operating System (OS), you need to check on this or when you receive a red 1 icon on setting allow the phone to update the OS. 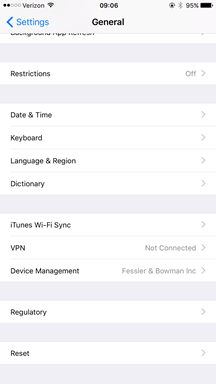 This may require entering your iTunes account information, Ashley Aubry (aaubry@fesslerbowman.com, 810-733-1313) can help you get that information. 2. Then tap Software update. Follow the next screens instructions to update your OS. This is best done when connected to WIFI. While our app is cloud based it requires available memory on the phone to open and run. If you phone has limited memory or no available memory you will need to delete apps, photos and videos on your phone. 2. 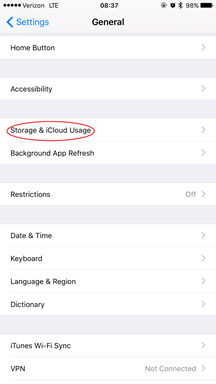 Tap the Storage & iCloud Usage section to see what you have available. Then begin clearing our items you don’t use or are not essential, this may be applications, videos, pictures, music, etc.